The American Association of State Highway and Transportation recently released AASHTOWare Project 4.1, which include over 200 improvements, along with 31 functional enhancements to AASHTOWare Project Civil Rights and Labor, AASHTOWare Project Estimation, and AASHTOWare Project Construction and Materials. These new features will save agencies time and give them the ability to access their data more efficiently. Key upgrades to AASHTOWare Project Civil Right and Labor in AASHTOWare Project 4.1 will include the ability for agencies to calculate both federal and state overtime rates with web-based software logic, support the analysis of salaried employees on a contractor’s payroll, while handling tiered subcontracting in the DBE Uniform Report. “The Minnesota Department of Transportation in conjunction, with our business partners at Minnesota IT Services, is particularly excited about key functionality that will be delivered in the AASHTOWare Project Civil Rights & Labor module,” noted Todd Bergland, the agency’s program delivery technology manager. “With Project 4.1, our civil rights and labor compliance offices will now be able to ‘copy’ and ‘modify’ wage decisions, maintain bidder/quoters at the proposal level, and allow for review of second tier subcontractor payrolls – just to name a few of the key enhancements,” he said. For the AASHTOWare Project Construction & Materials module, enhancements include: improvements to Daily Work Report (DWR) item posting and item selection; changes to the “insufficient materials” calculations to include only approved DWRs; improvements to the sampling and testing status report to include a projection of the total number of records needed to satisfy the requirements; and the ability to send multiple sample record tests back to the lab. Finally, the AASHTOWare Project Estimation module will feature two new major enhancements. First, when transitioning to a new “Spec Book,” an item mapping feature has been added to provide item mapping from a previous Spec Book to a new Spec Book to retain historical pricing data. Second, the system will keep the preconstruction project item line numbers and the estimation cost and item line numbers in sync as project items are manually re-numbered. Overall, this release includes several global enhancements and technology upgrades that will benefit all agencies, including the ability to configure AASHTOWare Project to use Security Assertion Markup Language or SAML tools for authentication, enabling single sign-on, for those agencies using the new AASHTOWare Project Data Analytics Software-as-a-Service or SaaS tool released earlier this month. 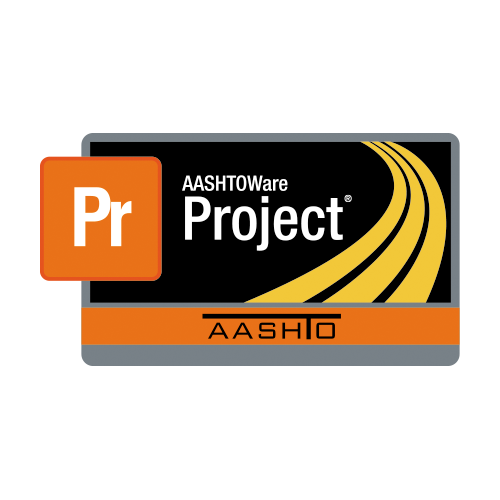 The AASHTOWare Project 4.1 release also introduces support for third-party document management systems, where documents added to a document management system can trigger creation of a link to the document in the AASHTOWare Project contract. “MnDOT is pleased to have been a partner with the AASHTOWare Project 4.1 task force in funding 10 TMR enhancements and four maintenance TMR upgrades,” noted Charles Groshens, labor compliance supervisor with MnDOT, in a statement. “We would strongly encourage any state DOT that wants to see quick improvements to the overall functions of the AASHTOWare Project to consider funding or partnering with other agencies on functionality that will improve your agency experience with the product,” he added.